Time: Several days before my telescope peek. Place: The other side of the Dead Sea. Our group stands amid the dry and dusty two-thousand-year-old ruins of Qumran on a desert mesa in Israel. We stare across canyons that encompass us, and notice caves dotting the faces of the cliffs — possibly the most significant caves in biblical archaeology. In 1947, a Bedouin shepherd boy searching for his lost goat threw a rock into the entrance of one of these caves and heard the crash of breaking pottery. Investigating, he found several huge clay jars containing ancient documents. Among these parchments were copies of the Old Testament from before the birth of Christ: The Dead Sea Scrolls. To understand the gospels — to get a grip on the ministry of Jesus — you have to start here. You have to go way back, before the New Testament was written. Back to the Hebrew Scriptures, known as the Old Testament to Christians. They end with a longing for the appearance of God’s anointed one, the Messiah, who will judge wickedness and free the oppressed, restoring God’s people to glory. The last books of the Old Testament written, the books of the Prophets, sound almost like an old American blues song. Or will we accept God’s deal? OK, so I’m not a blues writer, but that pretty much sums up the themes of the last books of the Old Testament. These were the ideas echoing in the minds of the Jewish people when Jesus was born. If a classic blues song longs for a love relationship, the prophets longed for God and his chosen agent, the Messiah, to soothe all sorrows and bring the Kingdom to true magnificence. There are hundreds more. But — why were scrolls with all these prophecies preserved in caves at Qumran? Apparently, members of an ancient Jewish sect, the Essenes, lived here in strict separation from what they considered to be the corrupt Temple leadership in Jerusalem. They were forbidden to marry, own any property, or eat hummus (just kidding about that last one). Their entire existence centered on the preservation and study of the Hebrew Bible. When the Romans marched toward them in 70 AD as part of Caesar’s campaign to brutally suppress a Jewish rebellion, the Essenes hid their treasured scrolls. And they hid them well. The scrolls stayed hidden for nearly 1,900 years. The caves also contained something else: Hundreds of Essene writings about the Messiah based on their studies of these prophecies. So thanks to the Dead Sea Scroll discoveries, we know that prophecies about the Messiah in the Hebrew Scriptures were not added back in by later Christian editors. They were there for hundreds of years before Christ’s birth. In fact, the teachings of the Essenes refer specifically to the “Servant Songs” of Isaiah, the “Seventy Weeks Prophecy” of Daniel 9, and various psalms as clues to the Messiah’s identity. Then, around the time of Jesus, the preaching of the Essenes shifted. They began teaching that the time was now at hand, that the prophets’ predictions were coming true, that in their lifetimes, the Messiah would be revealed. And what you could call “Messiah-Mania” swept through this part of the world in the first century. People knew the prophecies. They’d been singing those blues for hundreds of years. Now they were actively looking for the Messiah. As I stand near the Dead Sea caves, I marvel at how God readied a landing site for the earthly ministry of Jesus. The idea of a Messiah didn’t just drop out of heaven on Christmas morning to an unprepared population. It was an inspired concept that God cultivated for centuries, furrowing and fertilizing the world for the seed to come. The oppressed were hoping. The oppressors were fearing. Expectations were sky-high. And then the hopes and fears of all the years were met just over the hill from Qumran, in Bethlehem, one night. Yet no one, not even the Essenes after centuries of study, exactly predicted the kind of radical Messiah who showed up that day. 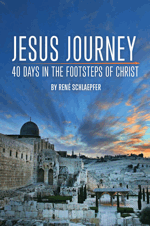 How does it help your faith to know that Christ fulfilled ancient prophecies about the Messiah?